Masai Russell is taking her talents down south. WASHINGTON (WUSA) — Masai Russell is taking her talents down south. 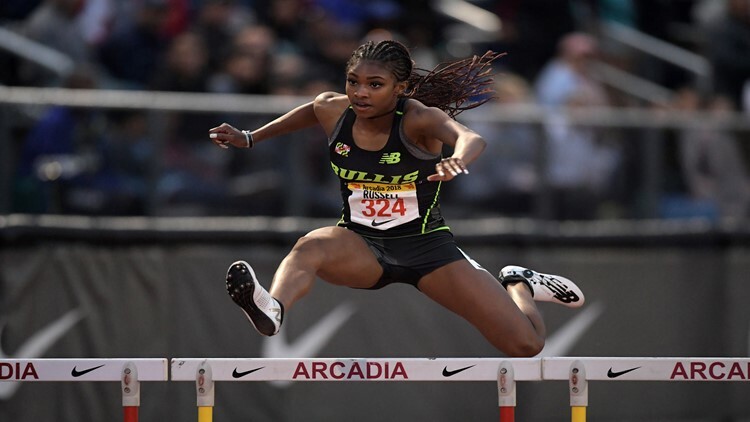 The senior track star at Bullis School, announced on social media Wednesday morning that she had chosen to go to school at the University of Tennessee. This season, Russell has definitely been leaving her mark on the track and field world, it's hard not to notice her. She currently is the 7x NBN Champion, and the 4x200 National Record Holder. Just last Saturday, she helped her relay team win their first West Coast victory at the Arcadia Invitational. It was the team's first race of the outdoor season, and they won the 4x200 relay race in 1:36.18, the third fastest time in the U.S. It's safe to say that this young woman's track career is just getting started. I know I for one can't wait to see her compete at the collegiate level. Follow Ashley Young on Twitter @AshleyHasSpoken.